The Middleton Public Library subscribes Zinio digital magazine service; with over 50 magazine titles available. The library system also subscribes to Flipster, A digital magazine distribution service where users can access magazines from a variety of publishers via a web browser. 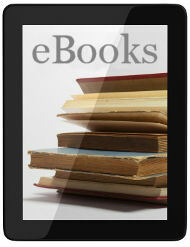 Curious about eReaders and Tablets, but not sure if you want to spend the money? 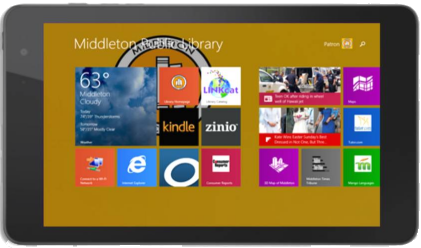 Stop by the lower-level reference desk and check out a Tablet PC for up to 4 weeks. You can use it to download free ebooks from the public library, read pre-loaded magazines and books - or just surf the web with it. We also have Kindles with pre-loaded eBooks if you wish to simply try reading with an eReader. 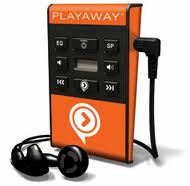 Try a Playaway, a single audiobook in a small device. The portability of a digital audiobook and the grab-and-go convenience of a physical format. Just add a AA battery and plug in your headphones. There are thousands of titles in LINKcat to try!